LED lighting has reached a point where technology and price have met to create the perfect paradigm shift in savings and light output. LEDs have become our premier offering at Clear Blue Energy and we offer a full turnkey solution for our customers. We understand that due to the technology advancing so quickly and the list of manufacturers expanding so rapidly, many customers are overwhelmed with options. We are here to aid in the navigation of this oft times complex industry. We specialize in the supply chain and maintain a product and manufacturer agnostic approach. This allows us to adapt rapidly to new improvements in products and provide customers with the ease of mind that they are receiving the best the industry has to offer. The key metric to determine the viability of a project often times comes down to does it make financial sense. We will develop a full ROI and financial Pro Forma analysis for your project. Working with your local utility can often be complex and confusing, especially considering the rapid changes often inherent to incentive and rebate programs. We have built an extensive knowledge base of utility programs nationwide and have key relationships to ensure this process is seamless. We will handle all paperwork, determine the incentive amount for your project, and manage all inspections. In order to ensure you have the best quality light with the best savings, we design and engineer our projects in house. With LED’s, the simplest solution is to replace lights one-for-one and at times energy savings sacrifice light quality and vice versa. We believe in the full front end engineered approach to determine the best design that creates the careful balance of value between energy savings, ROI, and light output. Call us today to learn more about how Clear Blue Energy can turn your building or site into a bright energy saving enterprise! We at Clear Blue Energy Corp. use only the best technologies from the top manufacturers. Monitoring Systems come in different shapes and sizes from a variety of manufacturers for a multitude of purposes. With our diverse range of products we can find the best fit for your property. Many properties have systems in place that need to be maintained. With our knowledge and familiarity with products across manufacturers, property owners do not need to needlessly spend to convert systems already in place. We use only the best in class, UL Approved, DLC listed, City of Los Angeles Approved products, respectively.  At Clear Blue Energy we are constantly reviewing and reassessing all of the products available in the market based upon their features, recent technological advancements, performance, safety, value and quality to provide you with the latest best in class solutions. Please review the benefits our products have to offer. DLC/UL Listed T8; T12; T5; Replacement LED Tube Lighting, Never Replace a Ballast Again!